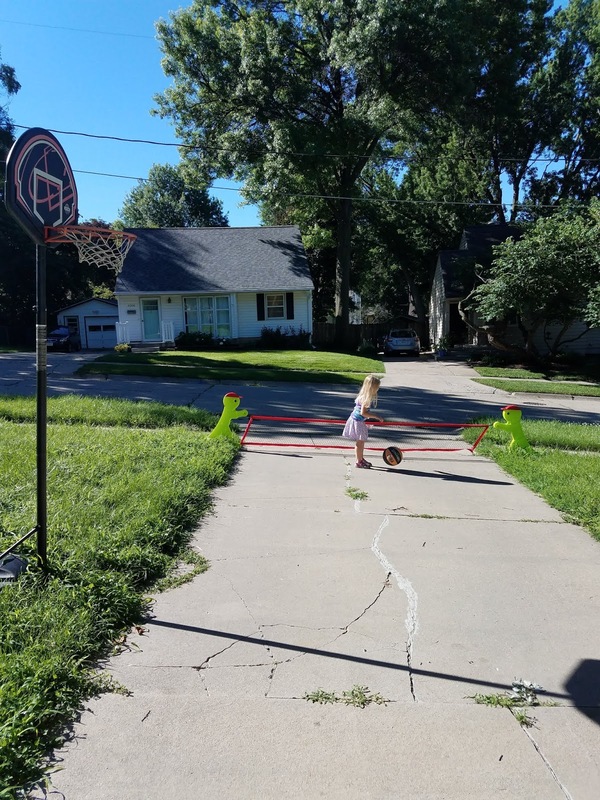 Basketball, Barbies, and dolls in the driveway. Thanks to very heavy rains the previous weekend, it was imperative that the backyard dry out. 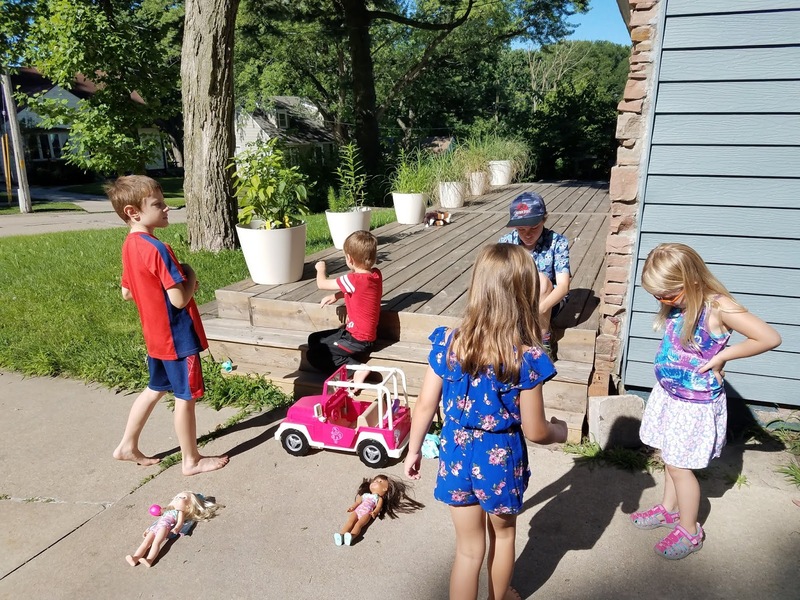 I hate for the kids to miss having easy access to the outdoors, so we opened up the front yard and driveway for playing. 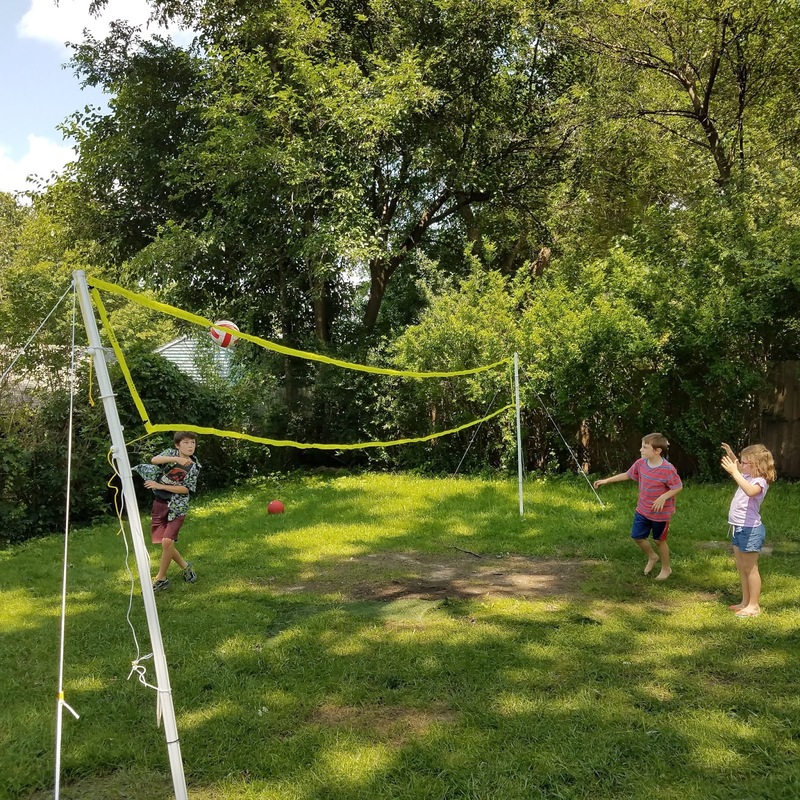 The kids seemed to have fun doing some activities that we don't usually do in the backyard (but they were really happy when I opened up the backyard again for playing!). The kids had a dance/sing off for the better part of a day. 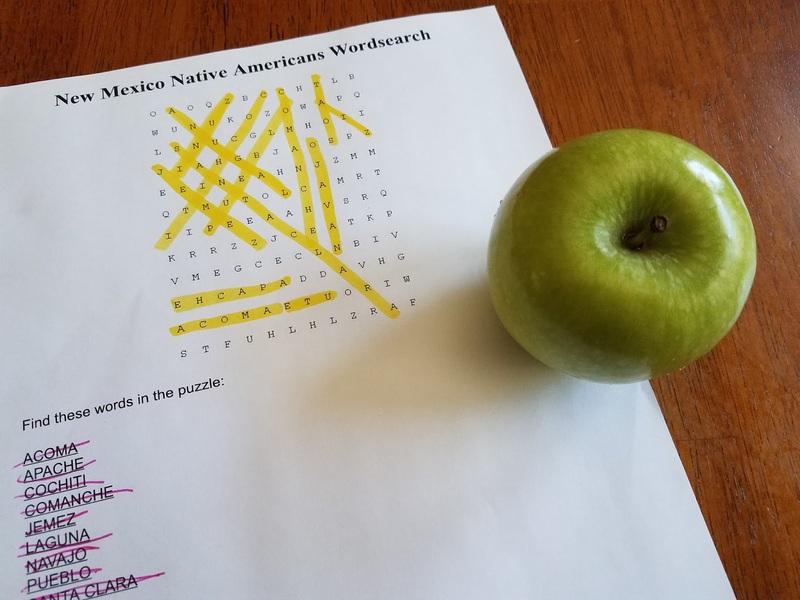 New Mexico brought us a word find, the kids asking "how do you say _____?" A LOT, and learning to say "hello" in several Native American languages (and no, I can't remember a single one off the top of my head). New York brought us apples for snack. Yummy! 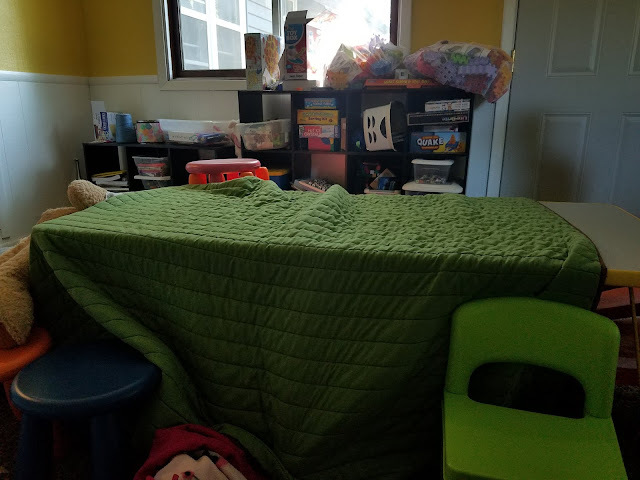 Fort building. 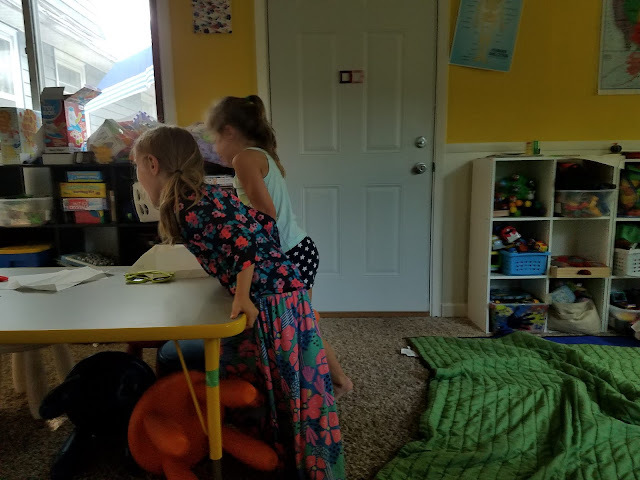 This is how it started, but the kids kept trying to make their fort bigger and better. 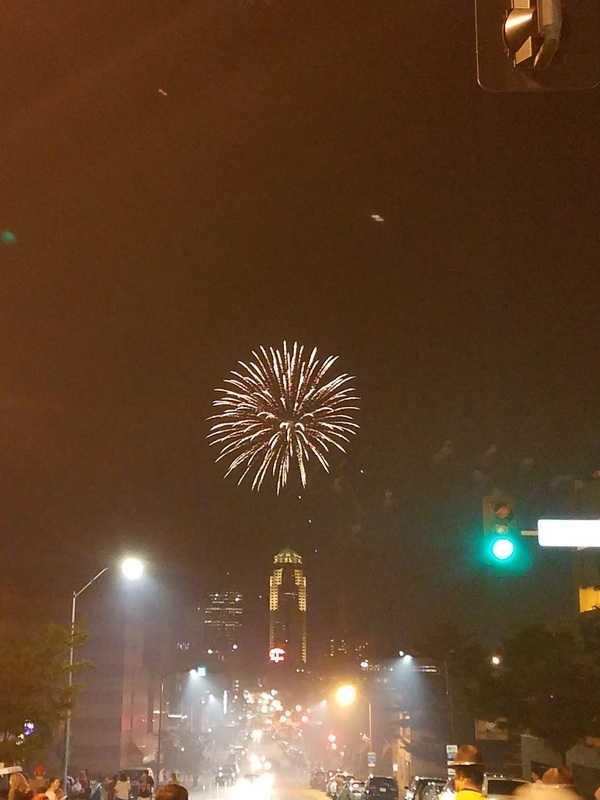 Our 4th of July was AWESOME! 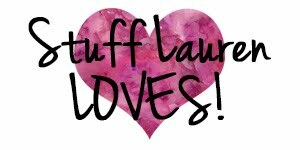 Read about our awesomeness here. Volleyball and badminton in the backyard. The ground was still so soft from all of the rains that it barely held the net up! But we managed AND the ball only went over the fence once. Friends are for helping when you can't move the table yourself! 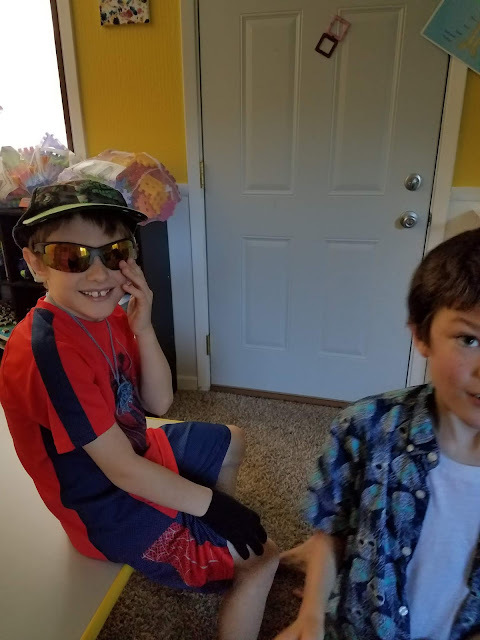 I love how much love the kids have for one another. 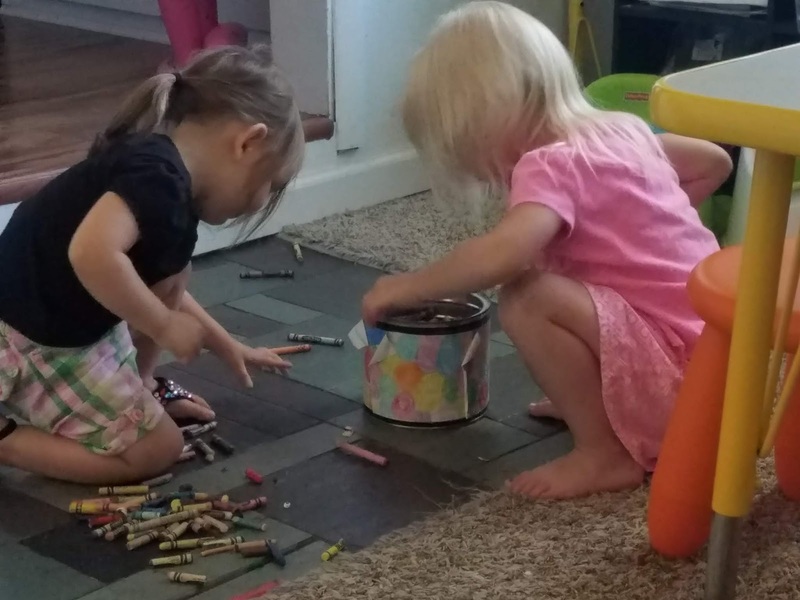 One kid spilled the crayons and started cleaning them up (without being asked, I might add) and the other kid put her toy down, walked up, and helped with the cleaning (also without being asked). I think it's just the sweetest thing. I've also learned not to react too much when something like this happens or they'll instantly stop being so sweet! I do, however, praise the kids when a scenario like this happens because they were being a good friend and cleaned up after themselves. I'm so very proud in these little moments. Did you know North Dakota has more sunflowers growing than any other state? 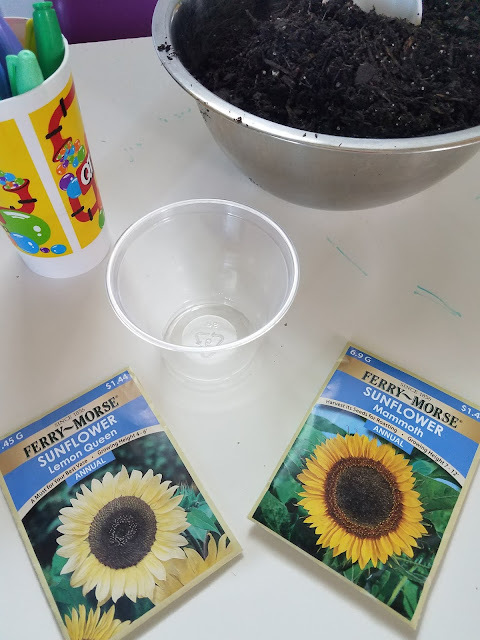 Well we do now and now we're growing our own! The kids wished we could grow more than ND so we "can beat them!" but I assured them that cannot happen. 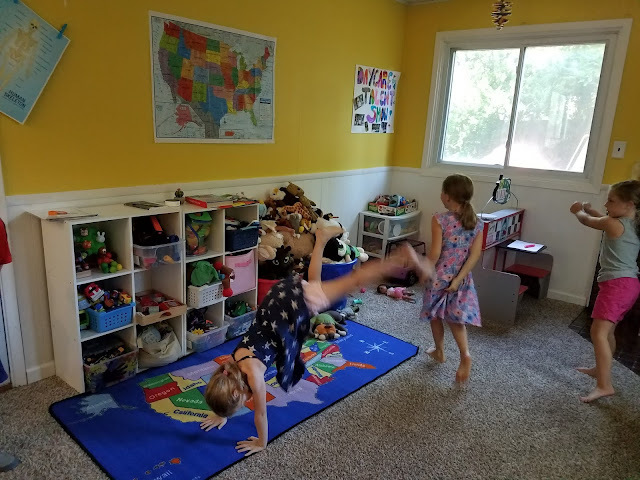 The kids had so much with their dance off that they did it off and on throughout the week. I discovered this while cleaning out art supplies. 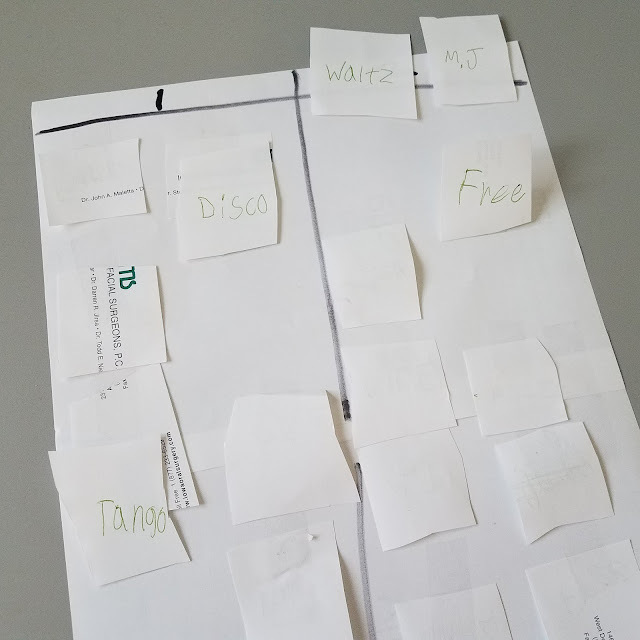 Apparently it's how they decide how the groups have to dance. I never witnessed anyone dancing the tango but I sure wish it had happened! I had Lego's filling my living room for two weeks. They built an entire Lego town! This was the start of it. Oh, and it all connected. 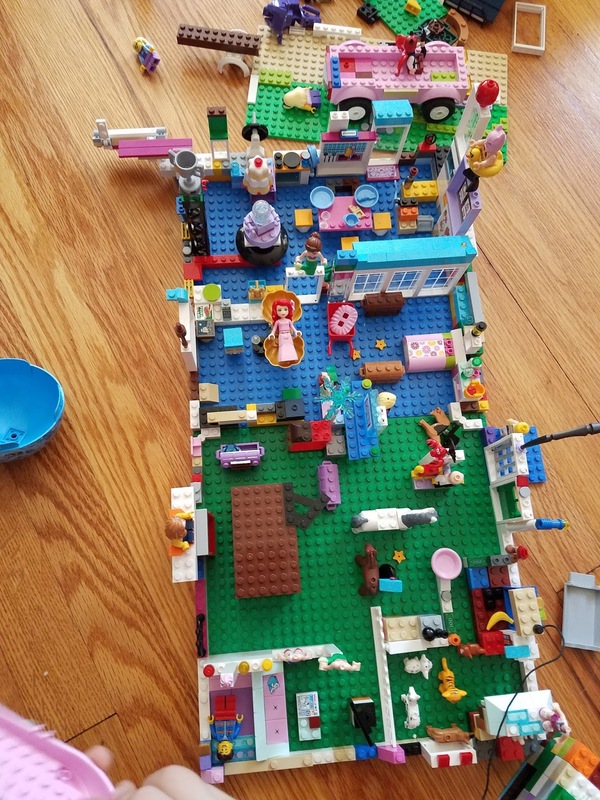 Lego's can keep the kids busy for hours. As nice as that is, I'm happy to have my living room (which is supposed to be a kid-free room) back. 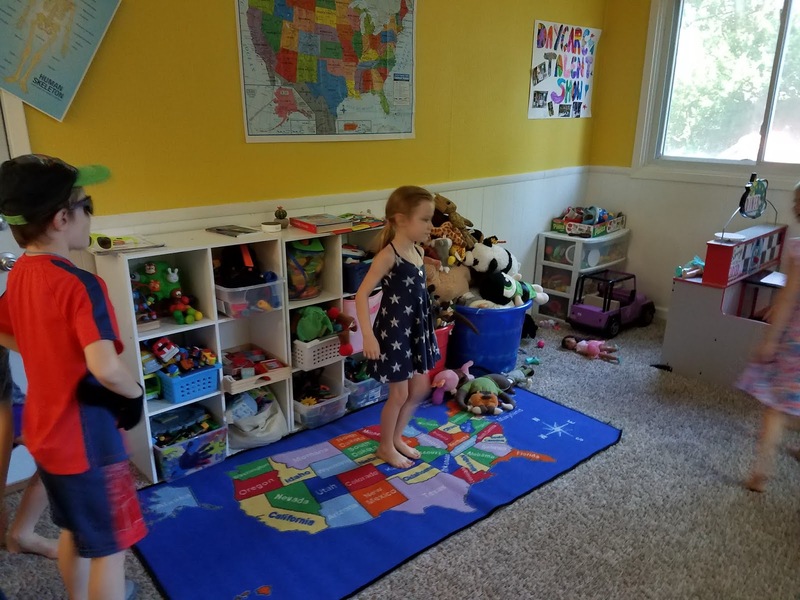 The bigs use the living room for "little Lego building" so I don't have to worry about the littles messing (aka-swallowing) with them. I had a tummy ache after this breakfast. 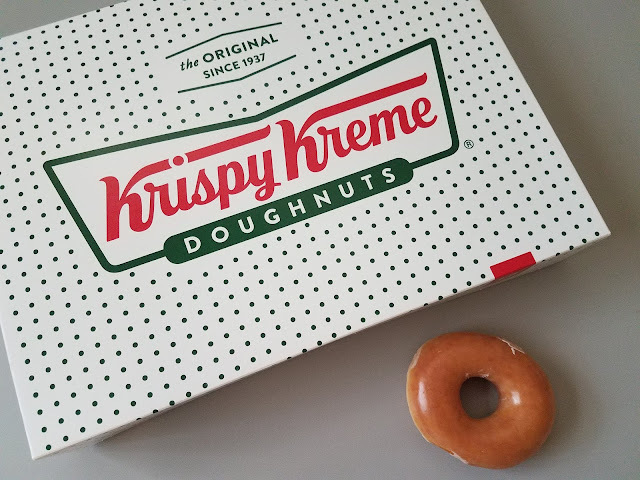 Krispy Kreme was founded in North Carolina, so it seemed like a solid choice for breakfast.